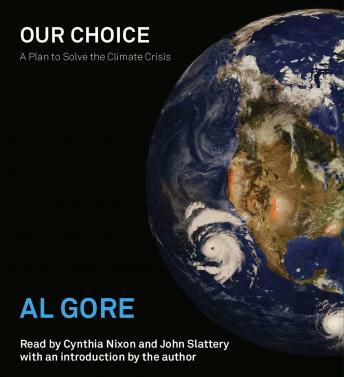 Our Choice will pick up where An Inconvenient Truth left off, providing a blueprint for solving the global climate crisis and drawing on Mr. Gore’s forty years of experience as a student, policymaker, author, filmmaker, entrepreneur, and activist. A co-recipient of the Nobel Peace Prize in 2007 for his environmental work, Mr. Gore illuminates the real solutions to the climate crisis and describes a comprehensive global strategy to implement them urgently. Our Choice will be an inspiring call to action for those ready to fight for solutions that really work--including some bold initiatives that were deemed impossible only a short time ago but are now gaining support around the world. Since the publication of the New York Times bestseller An Inconvenient Truth and the release of the Academy Award-winning film of the same title, Mr. Gore has led more than thirty “Solutions Summits” with top scientists, engineers, and policy experts to examine every solution to the climate crisis in depth and detail. Our Choice draws on conclusions developed through those summits as well as on extensive independent research, describing how the bold choices necessary to save the earth’s climate should also be the foundations of policies worldwide to create new jobs and stimulate sustainable economic progress.